For the first time in a long while, I did not set an alarm to wake me up and I woke up only when I felt I’ve had my revenge for the sleep deprivation I clocked during the weekdays. After another lazy 15 minutes snooze, I took my own sweet time preparing the set up to take photos of the process. Then I proceeded to make myself some elaborate, hearty French Toast. Curiously, despite the slow intention I had in mind, cooking this took me not more than 15 minutes! I’m not a strictly by-the-book person when it comes to cooking, because everyone’s palate is different and thus, I prefer to follow my own guts and taste buds, of course. 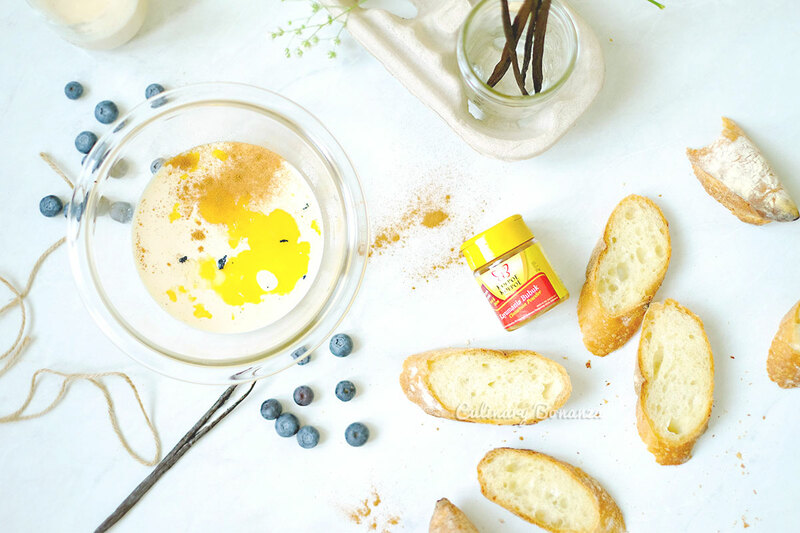 - Into the whisking bowl: pour some milk into a whisking bowl (the amount is up to you, just bear in mind that more milk, means the French Toast will be softer), eggs (use everything, the white and yolk), cinnamon powder and vanilla caviar. Then whisk the mixture. - Soak the bread slices in the mixture, make sure they are thoroughly soaked. - Heat some butter on a non-stick pan, about a third of your pinky will do. Once the butter melted and starts to sizzle, you can put the soaked bread on the hot pan to cook. 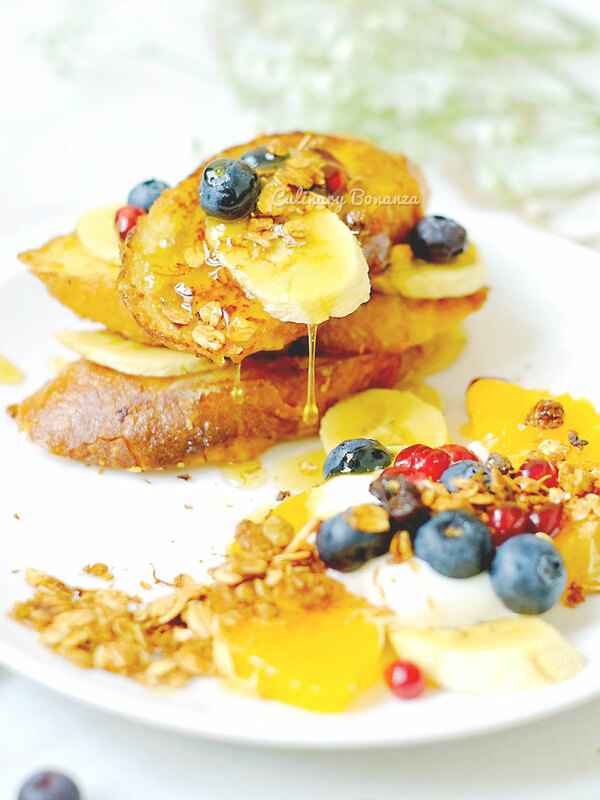 - When the bread has turned almost golden brown, you can take it out of the pan and serve it on the plate. - Garnish as desired. 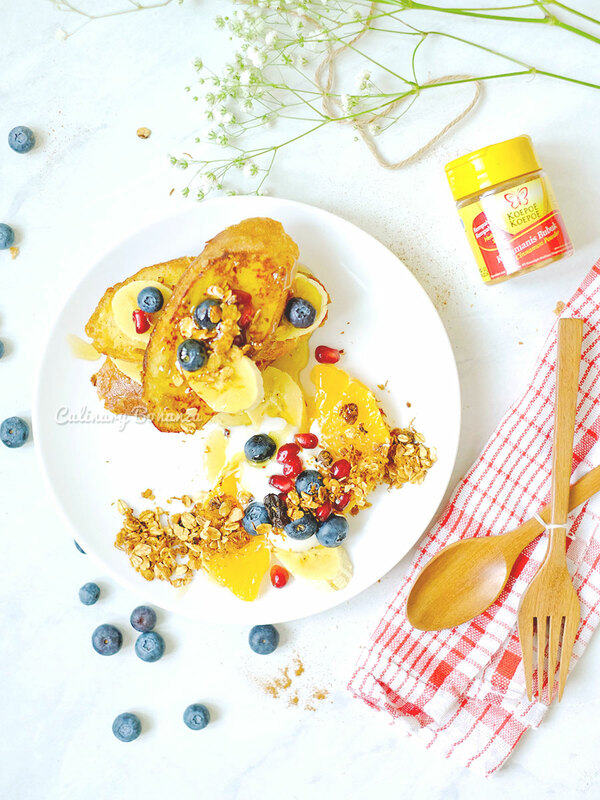 For me, I like to use a lot of fresh fruits, with some granola sprinkle and yoghurt and honey. 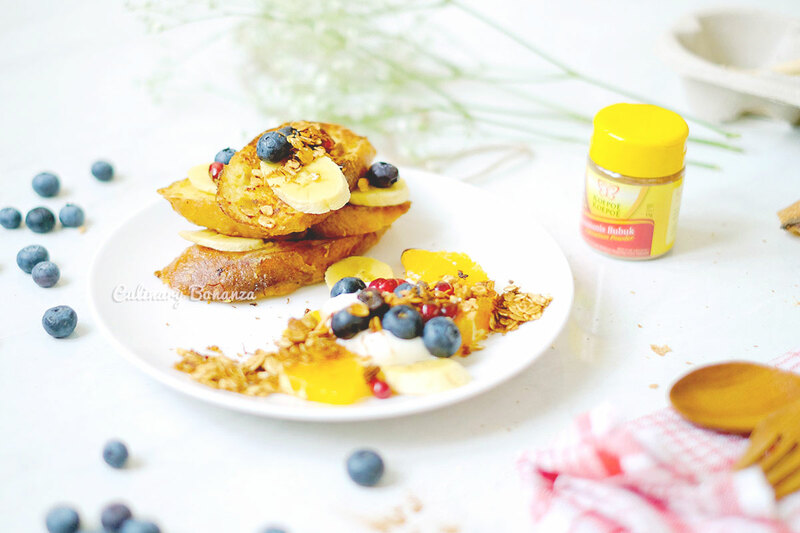 French Toast recipes can never miss one vital herb in it: cinnamon. It’s the cinnamon that makes French Toast, a French Toast, otherwise it would’ve been called a mushy bread or something else. So for my recipe, I chose a brand that I’m familiar with ever since I was a child: Koepoe Koepe. 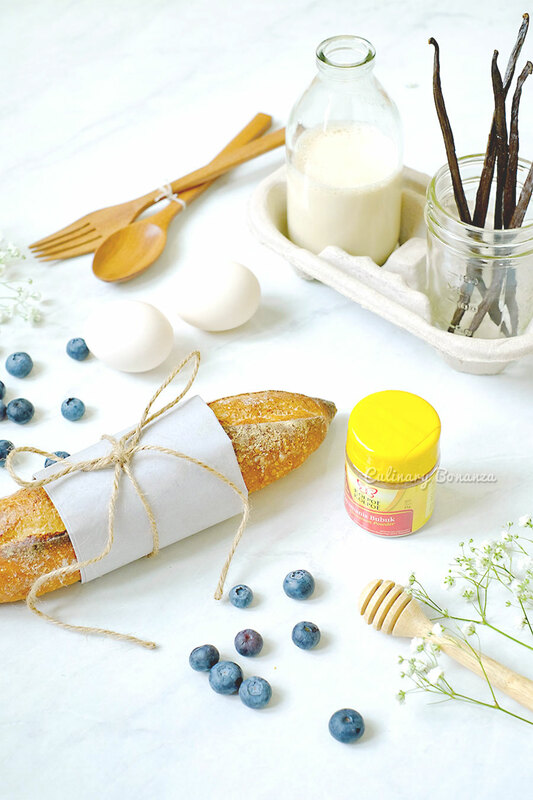 So, the cinnamon powder is rather special, because it is from Koepoe Koepoe (which means butterfly in English). The brand Koepoe Koepoe has been faithful to its mission in seasoning the life of Indonesian kitchens and restaurants for the past 7 decades. With that long experience in the trade, Koepoe Koepoe has evolved into a wide range product catalogues, which can be downloaded on its website here. - And a recipe booklet, containing recipes that can be done in 15 minutes! The special essential spices pack, now available in select supermarkets near you. This special spices pack is available for sale at various locations at various time period. But of course, if you’d like to purchase the spices individually, every major supermarket chains in Indonesia would carry the product. 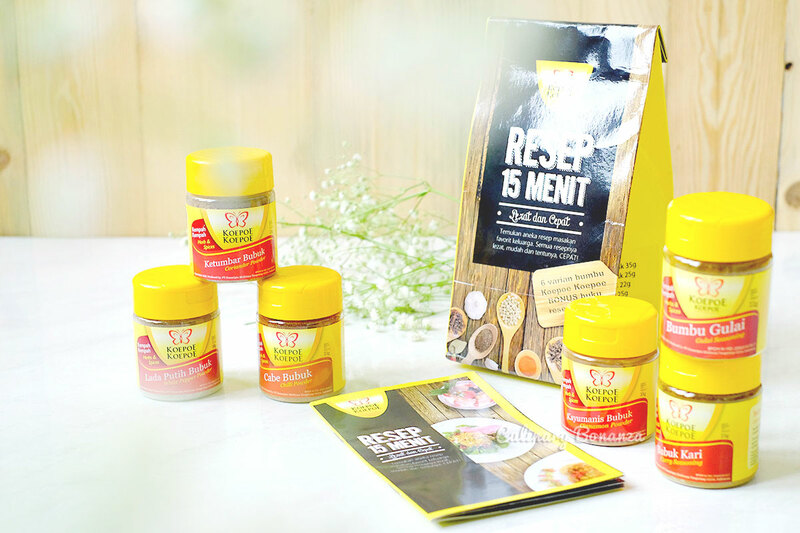 Now, you can find this #Resep15Menit spices box at any Ranch Market & Farmer’s Market stores!